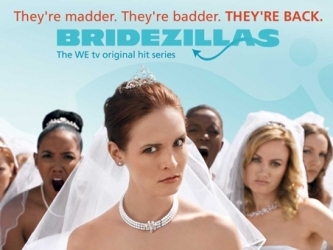 True story: I won’t say when and I won’t say how, but I have seen episodes of the show Bridezillas. Mostly in horror. For those of you unfamiliar with the show, it’s essentially a reality show that follows soon-to-be, hysterical, tyrannical, drama-queen brides as they prepare for their weddings. The show is a parade of varying levels of emotional and relational dysfunction, narcissism, horrible family patterns, and mayhem with humorous commentary. Obviously, all the caveats, warnings, and self-deprecating comments about voyeuristic reality shows can be inserted here. Let the Spirit of God be in you, that you may see that all these things are good: but woe to you if you love the things made, and forsake the Maker of them! Fair are they to you: but how much fairer He God does not forbid you to love these things, howbeit, not to set your affections upon them for blessedness, but to approve and praise them to this end, that you may love your Creator. In the same manner, my brethren, as if a bridegroom should make a ring for his bride, and she having received the ring, should love it more than she loves the bridegroom who made the ring for her: would not her soul be found guilty of adultery in the very gift of the bridegroom, albeit she did but love what the bridegroom gave her? By all means let her love what the bridegroom gave: yet should she say, This ring is enough for me, I do not wish to see his face now, what sort of woman would she be? Who would not detest such folly? Who would not pronounce her guilty of an adulterous mind? You love gold in place of the man, lovest a ring in place of the bridegroom: if this be in you, that you love a ring in place of your bridegroom, and hast no wish to see your bridegroom; that he has given you an earnest, serves not to pledge you to him, but to turn away your heart from him! For this the bridegroom gives earnest, that in his earnest he may himself be loved. Well then, God gave you all these things: love Him that made them. There is more that He would fain give you, that is, His very Self that made these things. But if you love these— what though God made them— and neglect the Creator and love the world; shall not your love be accounted adulterous? The horror of watching some of these Bridezillas, aside from the blatant idolatry of the bride who says “It’s all about me”, is the way obsession about the wedding, the dress, the ring, and all the trappings and accoutrements eclipses any sane focus on the marriage or impending union with the groom. There are a number of episodes where the bride’s fixation on having the perfect wedding, perfect ceremony and party, so engulfs her that she pours out abuse upon abuse on her family, friends, and alleged love of her life. You could easily imagine her dispensing with the groom entirely if it weren’t for the fact that it would ruin the balance of the pictures. Of course, there’s nothing wrong with wanting a beautiful wedding. And there’s nothing wrong with enjoying God’s creation and even desiring it. Augustine reminds us, though, that the things of the world, all that shines and is fair, becomes an idol unless it is taken for what it is: a gift and a token of something of far surpassing worth. Mm. We cause all sorts of problems in allowing a means to become a end, don’t we? I think your comparison is, although at first not-so-welcome, eye-opening. I must now ask myself– or rather God himself, the bridegroom– in what ways I’ve allowed my focus to shift from himself to his gifts and blessings.